I thought I'd share some of my favorite easy projects and recipes that I've posted over the years (and one that's from a few days ago.) These are all really worthwhile and/or crazy yummy. Fine Mesh Salt Smoking Basket - this one is an oldie but a goodie. I use it in our smoker now, and it's just great. 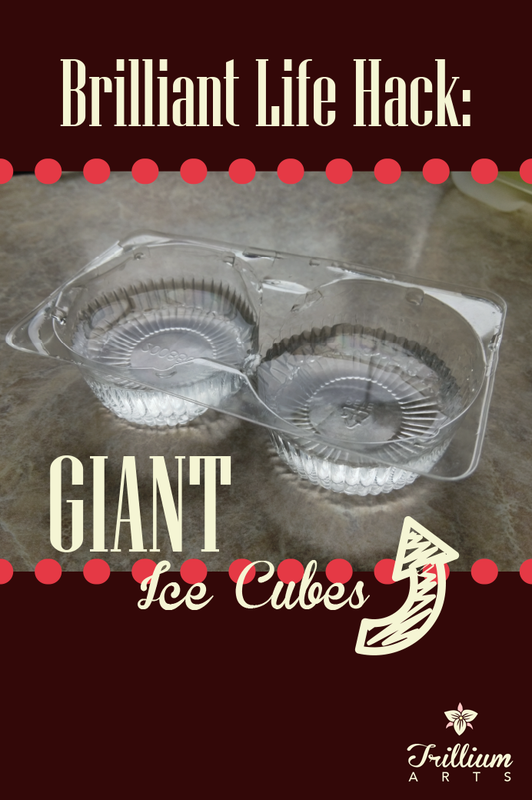 Giant ice cubes - Duncan's brilliant idea that deserves another mention. We've actually added three more trays, and I use the ice they make constantly! Sangria - The summer is almost over, but there's still time for this delicious drink. It's like a wine cooler, only WAY better. A classic. Also a great use of giant ice cubes! Big Bear Babushka - A drink I created in honor of a infamous "Russian" wrestler. Very drinkable. Ginger Lime Fizz - For those who can't (or don't want to) drink alcohol. This is a delicious and complex non-alcoholic drink. Pumpkin spice tea latte - Because who doesn't need more pumpkin spice? This version is made with REAL PUMPKIN and is creamy and delicious. Breakfast Risotto with Blueberries - We love risotto for dinner, but made with milk, blueberries, and maple syrup it makes a wonderful breakfast. 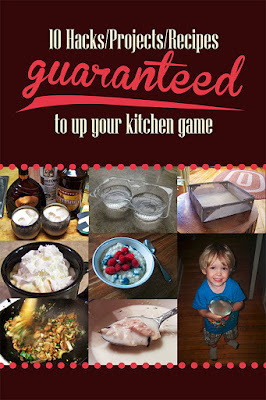 Best cream of chicken soup - Really, this is the best cream of chicken soup. Everyone who eats it freaks out a little bit. It's that good. Salt & Pepper Chicken - Based on the Chinese salt & pepper shrimp, only kinda different. One of our favorite and most-made meals. Rhubarb Chicken Risotto - The kids favorite meal, bar none. It's not the prettiest meal, but it really is crazy yummy. Well, it's been a really, REALLY long time since I posted. Sorry about that. Sometimes real life takes precedence. But I come with something to make up for lost time: an absolutely brilliant idea that my son came up with. No, I can't take credit for this one at all; it was entirely Duncan. If your house is anything like ours, you run out of ice cubes a lot, and many times the ice cube trays make tons of little shards. Great if you want water, but not so great for a drink you don't want totally watered down. One day Duncan was given Hostess cupcakes by his grandpa. When he finished, he looked at the plastic tray, and thought "You know, this would be a perfect ice cube tray!" HE WAS SO RIGHT. He washed it out, filled it with water, popped it in the freezer, and made the best ice cube tray that we have. 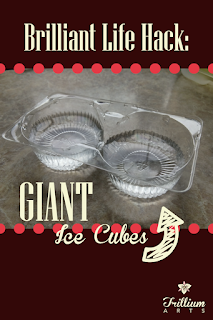 It's a great re-use; we've been using it for about two months now and it's still producing ice cubes. The plastic doesn't tear and stands up to the cold nicely, but even arthritic hands like mine don't have a problem popping the cubes out. It's also rigid enough that it stands up without too much fuss in the freezer. We've got two now, as grandpa gifted Duncan with another. When I told Duncan I was going to write a blog post because I thought his idea was so brilliant, he suggested we give away free ice cubes. Not going to do that, but go get some cupcakes and enjoy a frosty cold beverage!